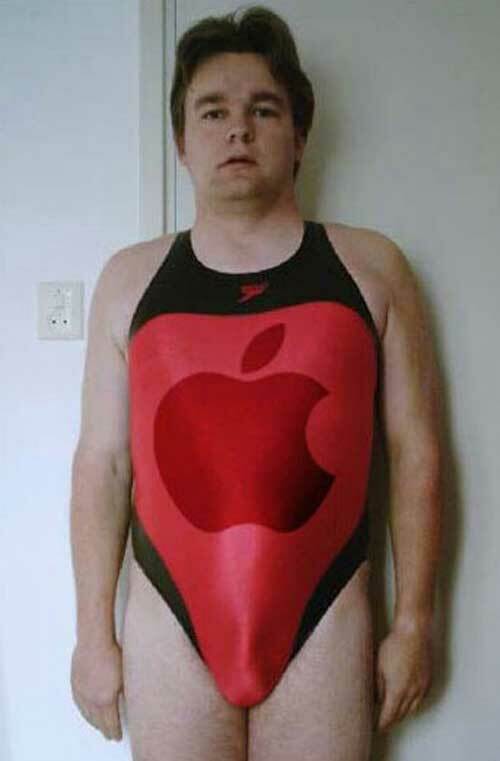 splendid…im sure sami and carrie would be pleased to wear this costume around the house. 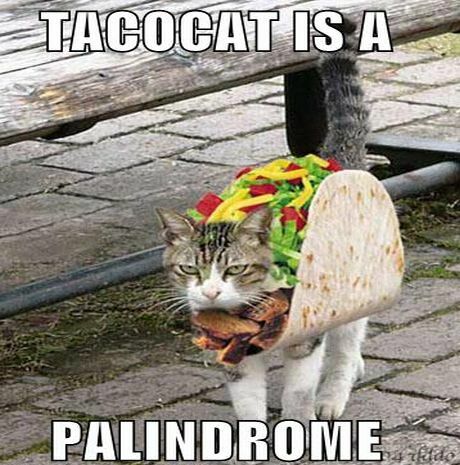 for those of you raised in substandard homes, a palindrome is a word that is spelled the same forwards and backwards, like ‘tacocat’ or ‘racecar’. 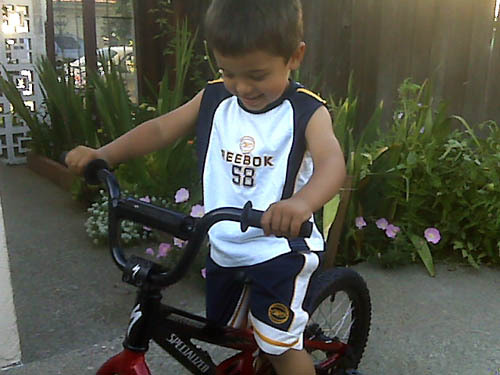 as if his legs weren’t big enough already, gma and gpa doyle sprung for a bike for marcos to ride around. i blame riding bikes for my big legs but i suppose that being nearly impossible to tip over is a benefit that most others don’t get to enjoy. there’s positive in nearly every situation. we’re going to have a small bowling party tomorrow for him. he went with aunt liz and jacqui one time to do glow-in-the-dark bumper bowling and we were told that he was most delighted. 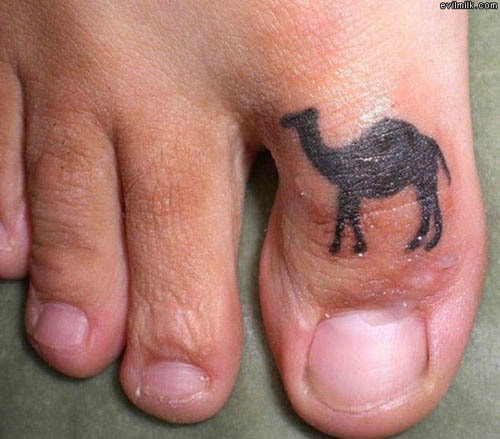 can guys get cameltoe also? i suppose so. why do we even work on fridays? i heard that one local company was going to propose going to a 4-day work week, to save everyone gas driving in on that 5th day. each workday would be extended to 10 hours, but i think that’s manageable knowing everyone will be getting friday or monday off. we work 8 hours already, what’s a couple more hours? 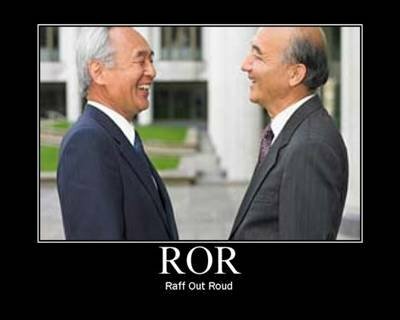 just more personal web browsing of celeb blog sites and digg/reddit. anyway, here’s some ed-filtered news to hopefully push you closer to the weekend. and the icing on the cake – new order’s regret video. 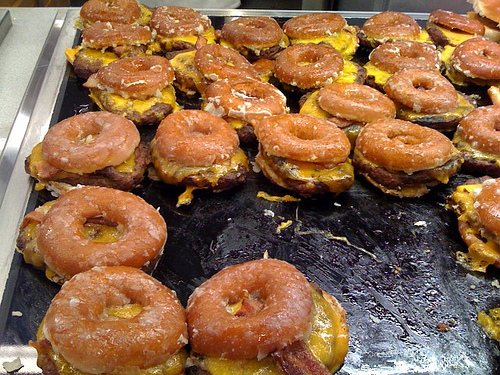 a chef at the google cafeteria penned this marvelous creation of bacon cheeseburgers with krispy kreme donuts as the bread. you’ll die sooner eating this, but you’ll die happier. so, if you have been around marcos, you know that he’s a tornado around the house. return of the jedi came on the hd and it caught his attention. 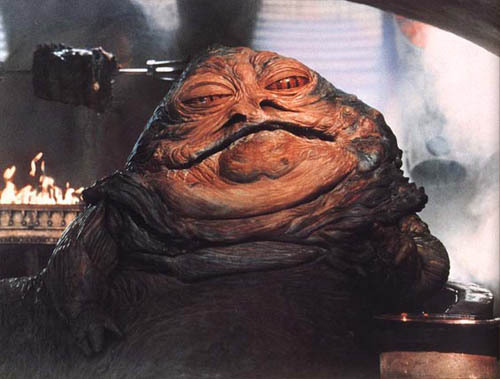 he sat down and started asking questions about what he was seeing – jabba the hut, tatooine, lightsabers, etc. i was both impressed and reassured – impressed because he actually seemed interested in what was happening on-screen with the look on his face and also reassured that he was going to grow up with a slight sci-fi edge about him (something that no doubt has propelled his father to modest success in his life). he seemed to like chewbacca the most, obviously with his hairy body and weird assortment of noises that he makes. there’s probably a slight resemblance to daddy in the mornings. 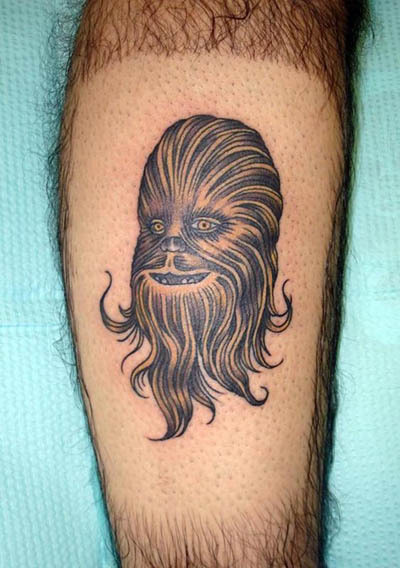 i know you like that chewie calf tat. i’m going to go on a limb and say the guy who got this tattoo has probably been the subject of some chewbacca-type jokes considering how much body hair he has.